P: Lardizzone and M. Hoffmann-Thomson were the perfect couple, barelly to find like that in big opera houses. Graf Monterone (Isik Belen) und the murderer Sparafucile (Krzysztof Borysiewicz) were threatning with enormous deep black voices. 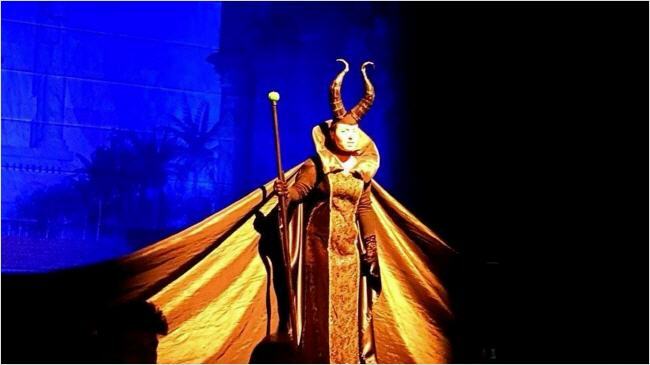 Ther are no words to find for, what Dilay Girgin showed as vocally perfection as Lucia. The audience gave her endless applause and standing ovations. Festspiele beside the Festspiele! in Der Hölle Rache is uncompareable today. It is one of europ's oldest opera theatre, which infrastructure was modernized in 2007. Traviata a.o. More then 2000 artists from all over the world since then were performin here. The Idea of the Festival is to show all opera productions in classical Regie, costumes and stage settings. 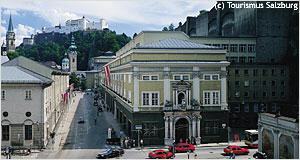 is a heritage of Austrian and Salzburg culture. roles. Every year 250 singers apply for this competition. Many of them made big careers, or are going to. as opera fanatics from world wide. The magnificent classic stage settings by Hendrik Müller are a rarity in today's theatres!